Had some free time today at work. So, I had some fun and came up with a couple possible cover designs for a Volume 3. I'd love to see the image of them with their guitars grace the next volume's box. But the other version has a more likely sort of image to expect (the group shot is pretty crummy on that one - couldn't find a better resolution image). The top one looks cool,if they do include Yesterday and Today in Vol 3, hopefully they'll figure out a way to have both the butcher and trunk covers, so they probably won't use the same image twice....unless they use the butcher cover for the cd sleeve and the trunk image for the box! Any other thoughts on that? As for the music, I hope they include the U.S. Revolver (I know its only a 3 track difference but its still unique to the U.S. which is pretty much the point of the series) Yesterday and Today and theres nothing else from 66 to include so they would have to jump around. Sgt.Pepper is pretty much the exact same as the U.K. and the U.S. Magical Mystery Tour has been adapted into the standard U.K. catalog, so I would be dissapointed if those were included. 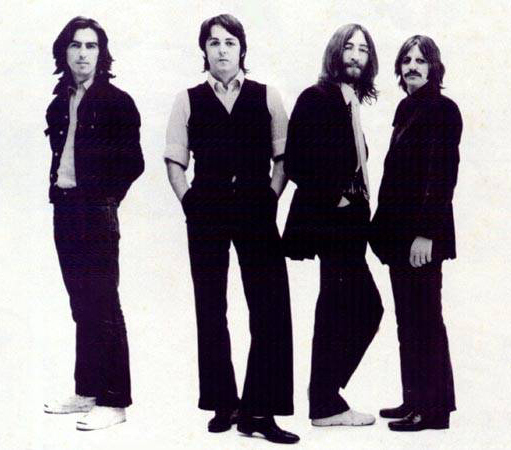 Instead I would hope for the Hey Jude album, and,jumping around even more, the U.S. Hard Day's Night album. But thats still in the (hopefully not too distant) future...as for now I'm still waiting for my replacement discs! I know... I'm Capitol Albums happy! ... and then, yes - jump-around time. Probably "Hey Jude" and UA "A Hard Day's Night". Someday, I'd like The Hollywood Bowl shows released. The U.S. "Rarities" would be cool. Wasn't Hollywood Bowl released in the U.K as well? I think all those albums (Reel Music,Rock N Roll,Love songs, Rarities) if they did come out in the U.K. as well (correct me if I'm wrong here, I'm not sure about that) would make sense to be released separately. 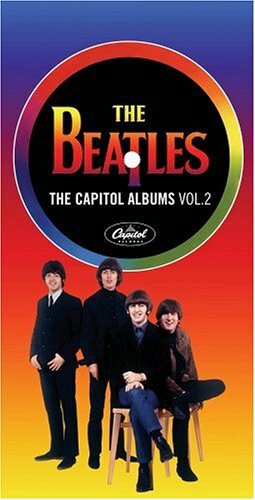 Or even better in its own box set, but I hope they don't call it the Capitol albums, if they were released around the world. As for Revolver being in Vol 3. You would think it would be a no brainer, but Bruce Spizer, who is a consultant to Capitol, is apparently not that interested in including it, as he dosen't think theres much of a difference between the U.S. and U.K versions. That may be, but those differences are what make it a unique U.S. album, so I hope he changes his mind about that. I am not sure about the UK releases of the above albums. All I know is that "Hollywood Bowl", etc. were all released on Capitol. I am not sure if tey were released on the Parlophone label (???). I always thought fo them as American releases. I could be very wrong about that, as well. I DO know that there was/is a British "Rarities" album (I think I even have it on vinyl somewhere in a box at my parent's house)... it has a dark blue cover with gold imprint type on it. It contained rarities for the UK market, obviously. I think it would be a mistake to not put the U.S. "Revolver" on a volume 3. If they don't, then why put "Yesterday and Today" on it? There are British "revolver" tracks on it, and by saying the two counterparts are TOO similar, then you're negating the need for "Yesterday and Today". Besides, I thought it was a "chronological" release thinking behind these boxed sets. How could they omit a 1966 American release from a volume 3? Yeah... the "trunk" image was repetitive - I knew it as I was creating it. But, I couldn't find another image that would make sense. I'm sure there are plenty in the Apple archives for them to choose from when the time comes. I'd have to imagine that the "Butcher" cover will only make its appearance inside the booklet for Volume 3. I'm with you. I'm rooting for Revolver too. And whether we get the Trunk cover or the Butcher cover dosen't matter as much to me as long as we get the album! I like the guitar cover. I cant wait till volume 3 comes out. Thanks. That WOULD be a cool box image. And I can't wait, either! But, considering this baby finally got his bottle with the release of Volume 2, I can't make too much of a fuss for Volume 3.... yet! Personally, I'd prefer a picture of the Beatles together of them around the time of the breakup. Vol. 1 featured a picture of the Beatles in their early years, Vol. 2 featured a picture of them in the middle years, Vol. 3 should feature them in their latter years. Challenge Yesterday and Today in the Arcade! Good point! I was thinking "1966". But, it would make sense to show a "later years" picture - especially if they do include The "Hey Jude" Album in Volume 3. What are the pictures for Capitol 1 & 2 ? I think that Hey Jude picture would make an awesome picture for 3 if they went by ages. Last edited by .Psychedelic.Stars. : Apr 28, 2006 at 08:59 PM. The next four albums that Capitol released in the US were Yesterday... And Today, Revolver, Sgt. Pepper's Lonely Hearts Club Band and Magical Mystery Tour. I believe that the cover for Volume 3 should be a picture of them in their Sgt. Pepper uniforms. I hope they don't inclde Sgt.Pepper and MMT in vol 3. 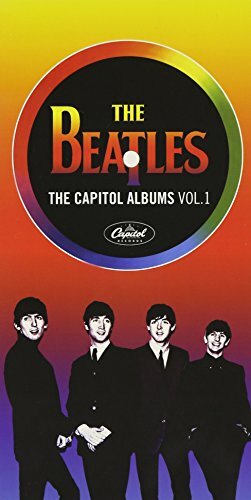 There are no differences between the u.k. versions and since the capitol MMT is now more or less recognized by Apple as the standard version (for good reason) it would be a waste to include those when there are other unique u.s. albums that would make more sense to include. You're welcome. You did a great job on the pictures. Thanks. That's just plain awesome. You've done a great job on all these covers. What are the pictures for Capitol 1 & 2 ?